The design and sewing of the festival bunting and ‘prayer-flag’ style tapestry starts mid-December in Lexton and later in the month in Beaufort. All skill levels are invited, the more the merrier 🙂 Everyone is also welcome to the community Stencil Art workshops on Tuesday 23rd January (Lexton Golf Club) and Wednesday 23rd January (Beaufort Pool). 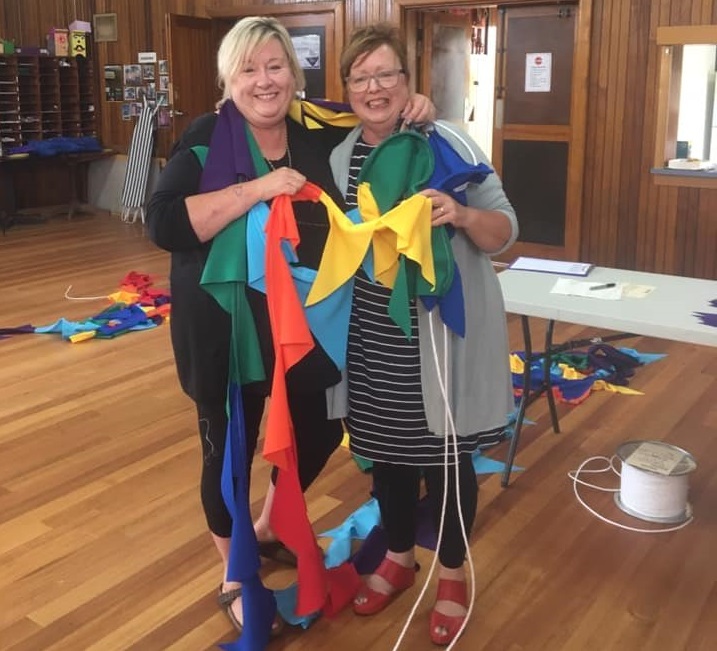 Contact Geraldine (Lexton Community Club) or Sandy (Friends of Beaufort Pool) to join this beautiful gesture of welcome, sharing and connection with the Pyrenees community and Rainbow Serpent family!